In the aftermath of the 1993 West Coast E. coli outbreak caused by contaminated fast food, Stop Foodborne Illness was born. Originally, we were known as Safe Tables Our Priority or S.T.O.P. 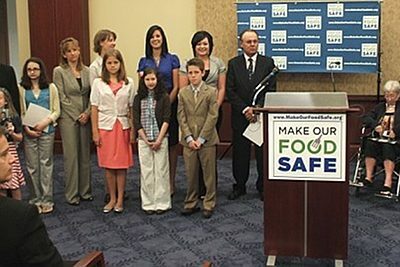 This watershed event, which resulted in the deaths of four children and hundreds more sickened, brought the issue of food safety to the forefront of the national media, and spurred a long-overdue conversation and examination of food safety standards and practices. Though our name has changed to Stop Foodborne Illness, we continue to be a respected leader in consumer advocacy. 2013 was our 20th year anniversary, and as they have done for more than two decades, government officials, industry leaders, academics, public health organizations, members of Congress, and the media regularly recognize and consult Stop Foodborne Illness on issues concerning food safety. We wanted to know the truth. Our children and our parents suffered; some even died. Our food isn’t safe?! Why hadn’t we heard about this before it was too late? In 1992 most of us had no idea what E. coli was, let alone the kind of havoc it was capable of unleashing. Unfortunately, in 1993 we learned all too well. 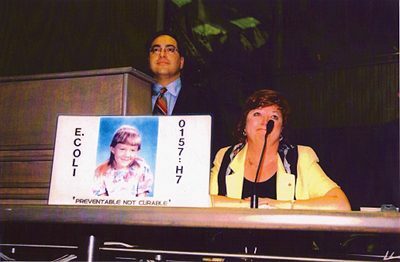 Out of the collective grief and anger of individuals, whose children and families were unmercifully caught in what would come to be known as the West Coast E. coli Outbreak, Stop Foodborne Illness (Stop) formed under the name Safe Tables Our Priority (S.T.O.P.). 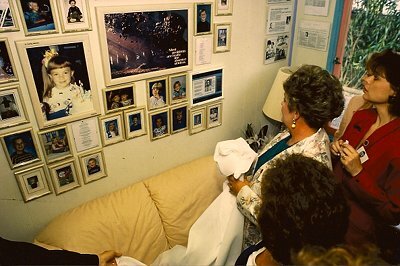 Thanks to media attention and the publication of victim’s names, families and individuals were able to come together. Through Stop, they found support and a place to voice their frustration. These were not microbiologists, doctors, or pathologists — but fathers, mothers, siblings, and children who, propelled by love and confusion and anger, knew they had to raise a voice that America would hear. Incorporated as a not-for-profit in California in 1994, Safe Tables Our Priority (S.T.O.P. or Safe Tables) began as a grassroots effort. Since no other government or non-governmental organization was addressing this issue, S.T.O.P. rose to the challenge. 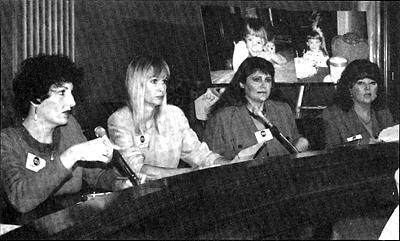 Early on, Safe Tables was a touchstone for families in pain and a resource for media outlets looking to provide answers. Increasing awareness about foodborne pathogens served as a guiding principle for the first S.T.O.P. members. We learned that a myriad of government agencies oversee food safety. We saw, firsthand, the lack of effective communication between federal, state and local agencies. We came to understand that thousands of people like us sought answers. We learned how food becomes contaminated. We understood the weaknesses of the system and the complexity of the challenge of preventing foodborne illness. We learned that the United States government — our government — already knew about emerging foodborne pathogens, but lacked a comprehensive plan to combat them. We learned that scientists and consumer advocates had been quietly warning the United States Department of Agriculture (USDA), Congress, and the media that a failure to inspect meat and poultry for bacteria would lead to a food safety disaster. Time was of the essence. Although there was significant resistance at every turn, our outrage was the fuel that drove us. S.T.O.P. joined the Safe Food Coalition and became a strong voice within this group. Industry held power, influence, and money. Safe Tables held truth — individuals whose lives had been irreparably altered by foodborne illness. Victims and families continued to tell their stories and, with the advocacy of our Safe Food Coalition partners, became a catalyst for change. In 1996, S.T.O.P. was invited to sit at the policy making table. 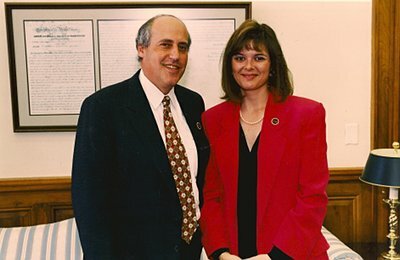 After numerous, substantive contacts, and countless hours spent educating the USDA and the meat industry about the devastation caused by E. coli, Stop became a key element in facilitating the first meat and poultry reforms since 1906. S.T.O.P. 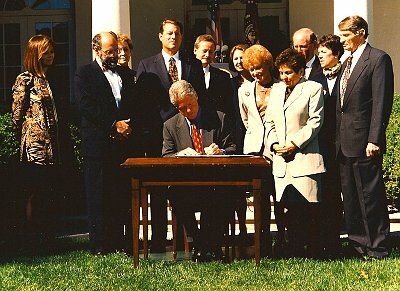 members were so influential that founders Nancy and Roni were invited to witness the historic overhaul be signed into law. For the first time, the faces of foodborne illness superseded the statistics. 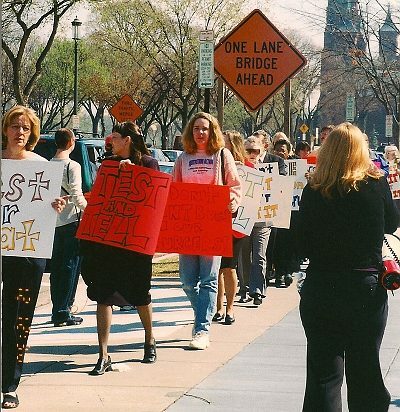 Over the years, Stop has significantly improved public health by raising awareness about foodborne pathogens, advocating for stricter regulations, and assisting those personally impacted by foodborne illness. As a result of our work, and the work of our many volunteer advocates, Stop Foodborne Illness has been at the forefront of numerous historical achievements including: facilitating the first meat and poultry reforms since 1906, winning microbial testing & zero tolerance for pathogens in school lunch meat, passage of the FDA Food Safety Modernization Act (FSMA), and USDA-required testing for non-O157 STECs. 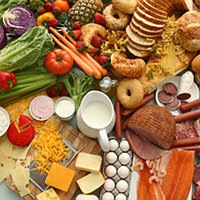 We regularly work with and inform receptive food industry trade groups and companies, national and local media, government representatives on both sides of the aisle, as well as the USDA (U.S. Department of Agriculture), the FDA (U.S. Food and Drug Administration), HHS (Department of Health and Human Services), and the CDC (Centers for Disease Control and Prevention). We hold congressional forums and panels with Legislators, those affected by foodborne illness, and professionals from a diverse range of disciplines. Our members’ dedication remains one of the major reasons for our success. Some initially sought out Stop for help, then became involved, learned about the issues and shared their stories in the media and on Capitol Hill. Their grief has not gone unnoticed. In January 2011, due in large part to Stop Foodborne Illness and the tireless efforts of its members, President Barack Obama signed H.R. 2751 The FDA Food Safety Modernization Act (FSMA) into law. The FDA now possesses mandatory recall authority, and must inspect facilities more frequently.